Acknowledge your favorite lacrosse player with our Female Shield Lacrosse Award! 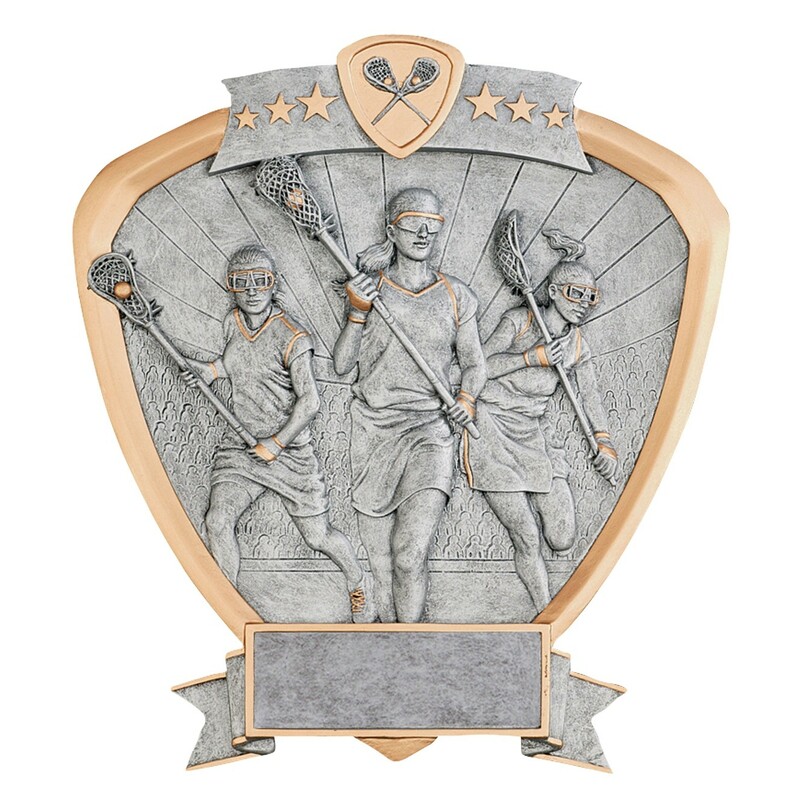 This resin award features a trio of female lacrosse players in action. Made of cast resin, this award looks like pewter and gold accents, with the feel of a plaque. This lacrosse award can be either hung on a wall or displayed on a desk by attaching the included metal rod. Award size is approximately 8.5 inches by 8 inches.